The final date to the Summerfest 2008 lineup at the Marcus Amphitheater has been announced. John Cougar Mellencamp will bring his classic rock to Milwaukee on Saturday, June 28. Having a nice long list of hits like, Jack and Diane, Small Town, Little Houses, ROCK in the USA, Paper in Fire and Hurts so Good to choose from will have concertgoers singing along like it's karoke night at Summerfest. For many of the dates, rocker Lucinda Williams is the opener, but no one has been confirmed as the Summerfest opener. 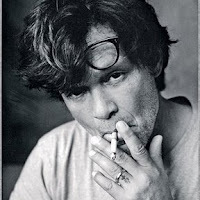 I checked the Mellencamp official site, no one was posted there either. Mellencamp tickets go on sale through Ticketmaster Saturday, May 31 at 10am central time. Ticket prices start at $45 before service charges. It does look like Summerfest will offer a limited number of free lawn seats the day of the show, usually via a nasty handstamp line early in the day.